Here is a collection that has gotten a lot of talk lately! 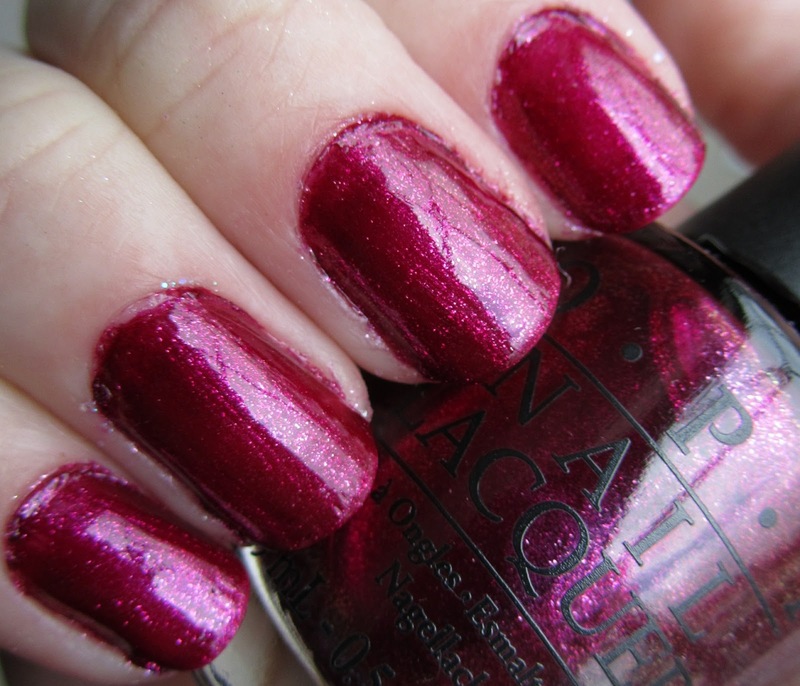 OPI teamed up with Katy Perry to create four amazing shades, as well as the crackle polish Black Crackle. This collection is really great - I think I love pretty much every shade! 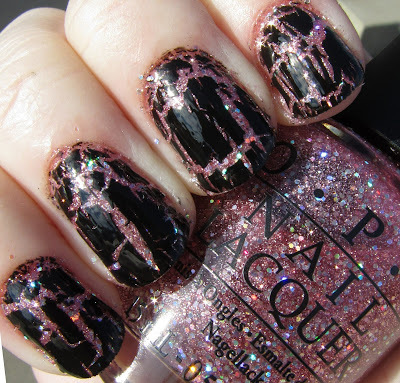 This looked really nice under Black Shatter - the combo of the girly pink and the cracked black gave it a kind of chic punk look, in my opinion. I actually did this last and wore it all day! 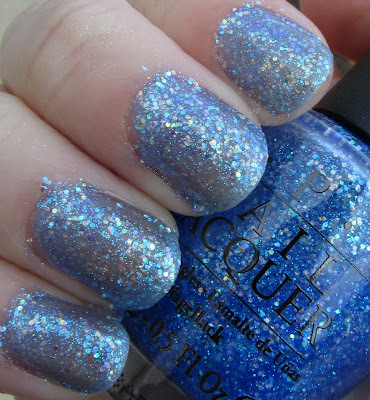 As a huge glitter fan, this is another one I was really excited for. This polish is full of bright blue microglitter, with medium-sized silver glitter with blue/turquoise multi-colored flash. While I did like it, it was a bit on the sheer side for my personal taste - this is four coats, and there is still visible nail line. I think it would be impossible to achieve bottle color on this one. I also found that this one needed a few extra minutes of dry time in between coats, as I got a bit of polish smudging during application. I will most likely use this as a layering polish in the future. 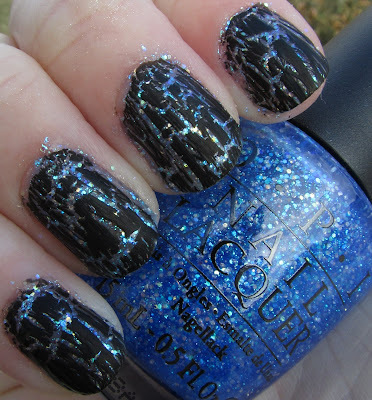 I did, however, love this one with black shatter! I have always loved blue and black combos and I think this is just gorgeous. 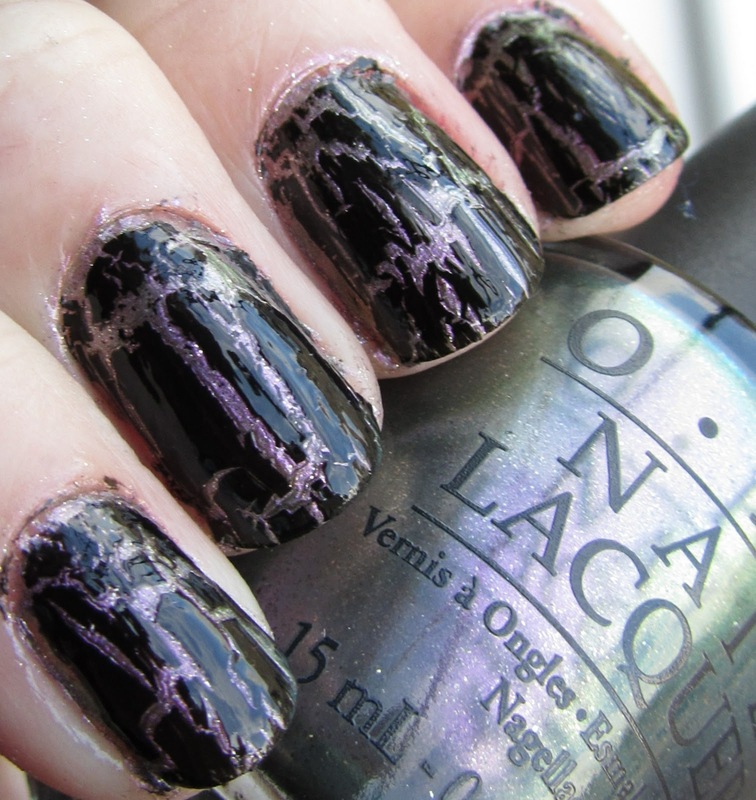 This is black shatter without topcoat (previously with topcoat). I wanted to show what both might look like, although the topcoat will give you a more smooth feel. The black has a matte quality to it without topcoat. I was not quite as big a fan of Black Shatter over this one; although still pretty, I think this is one I like best by itself. This is shown without topcoat, giving the black a matte appearance. In the original promo pictures for this collection, I thought this polish was going to be a regular foil silver. 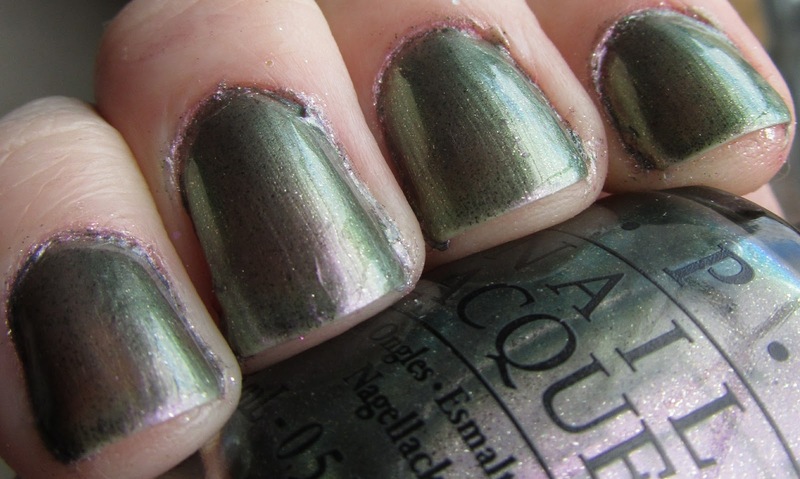 Instead, it is a gorgeous light purple/green duochrome polish with small glitter specks throughout - beautiful! It was a bit on the thin side, but three coats seemed to be enough to achieve full opacity. It was also a bit thin but still had decent application. 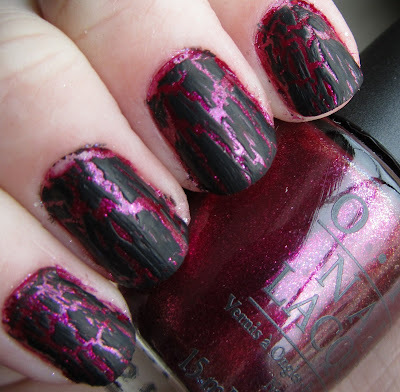 I really loved this one under Black Shatter, since you could see the duochrome peeking out. Very pretty! I really loved all of the base polishes in this collection, even if they weren't all the most unique. I think my favorite is probably Teenage Dream, but they are all really gorgeous! You will definitely be seeing them all again in full manicures! However, the clear star of the collection is Black Shatter - I have never used crackle polish before and I thought it was pretty awesome. I would recommend picking up a bottle if you don't have crackle polish already! Prepare to see a few comparisons coming up sometime soon! now im wanting the one that got away!